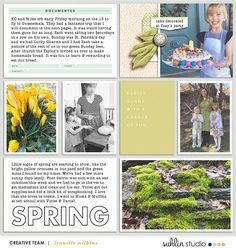 Hello everyone, Theresa here of Larkindesign! 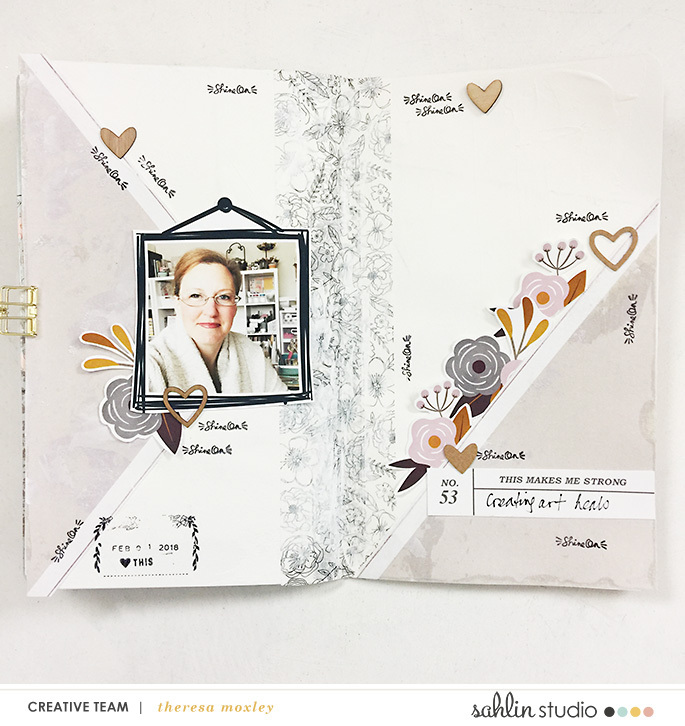 Today I am going to share with you a hybrid art journaling layout that I’ve created in my travelers notebook using digital products! What? 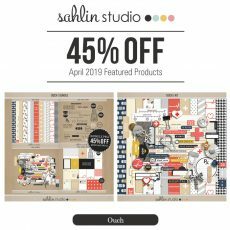 Digital products in art journaling? Absolutely! 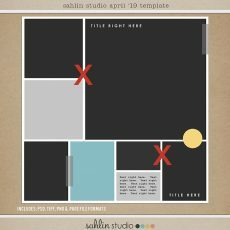 I will be working with products Sahlin Studio Kindred (Kit) and Photojournaling | The Reason Why. Here is the layout I have created. To begin I chose digital products from the Kindred (Kit) that became the jumping off point for the layout. I was drawn to the graphic angles on this patterned paper, so I printed it out on 8.5″x 11″ paper. Most printers have a Print To Fit feature and I find that prints large enough to fit inside a traveler’s notebook! I also layered one of the frames in the Kindred Elements over my photo and cut that out as my focal point. 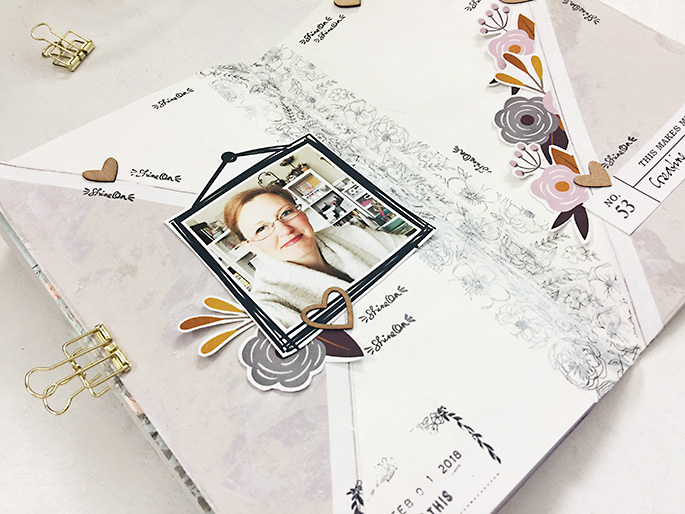 Once you have your elements and papers printed, you are ready to begin your art journal page. I always recommend preparing your page with gesso. This makes your paints more vibrant and easy to work with, and just overall will make your project easier to create. Once you gesso, add a pretty washi tape in the center, or the gutter, so that your watercolors and other wet media don’t puddle so much in that place. 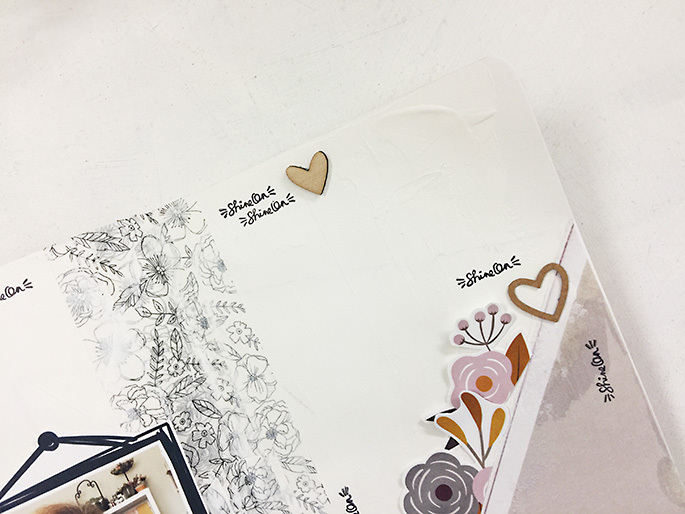 Once you have your washi and papers in place, give the page another coat of gesso. This brings all the elements together into one cohesive background! 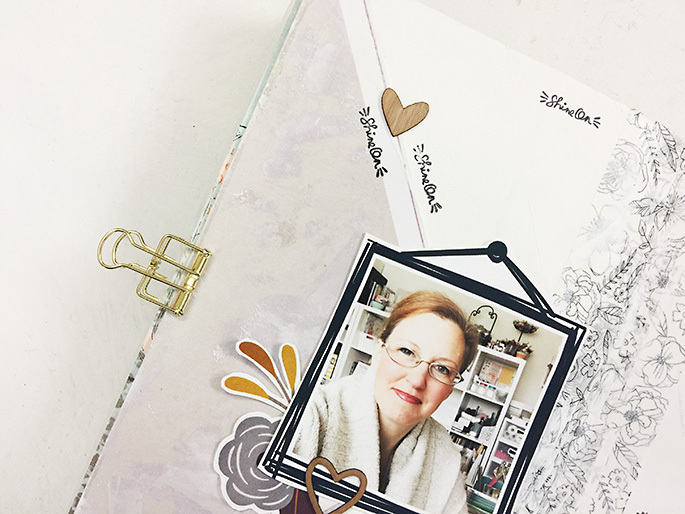 I have let the patterned paper guide my placement of the photo and embellishments on this hybrid page. I adhered the paper using matte medium – this is a great product that has adhesive qualities but won’t wrinkle your pages! I printed this paper onto cover stock from Staples, which I had never used in art journal layouts before, and I discovered an interesting effect. The matte medium darkened places on the paper. Some might not care for the look, but I think it adds a bit of dimension to the page. I also added just a tiny bit of gesso in places so the paper has a unique texture. For the right hand side of the layout, once again the angle on the paper creates an instant guide for the rest of the elements. 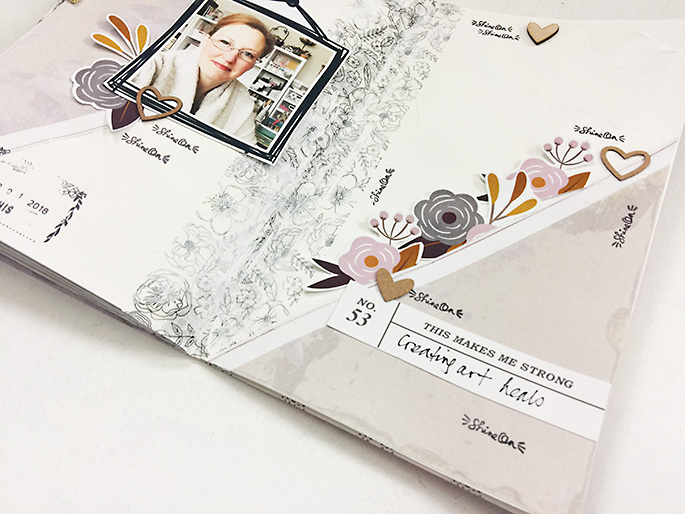 I’ve used the floral element in the Kindred kit to soften the edge of the paper. This also draws your eye into the page and right to the photo. For my journaling, I have printed one of the PSD’s from the Photo Journaling | The Reason Why kit. This layout has marked a period of growth for me through creating art journaling. This notebook documents that growth, and this is the last layout, so I am ending this notebook by celebrating my strengths. 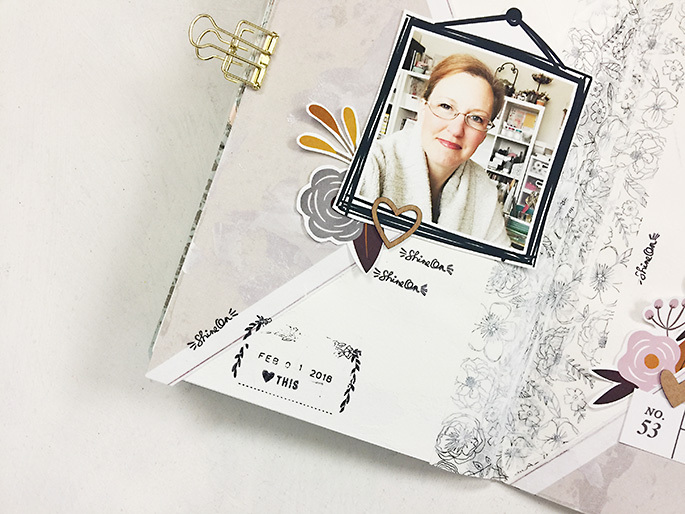 I also have repeated just a few stamps and heart shaped embellishments around the page. The word Shine was a One Little Word I chose several years ago, and while I didn’t carry that project out, I still carry that word with me. This is a great place to repeat that word and affirm myself in this layout. 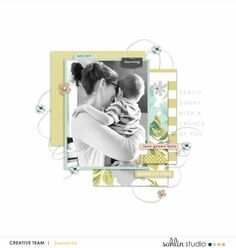 I hope you will take a little time to find ways to affirm yourself as well, and I hope this layout has inspired you to try a new way! 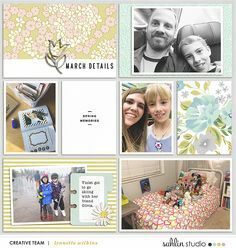 Digital products are fantastic for creating hybrid art journal layouts, whether you are a digital memory keeper who missed physical products, or you are a physical scrapbooker who would love to try digital. 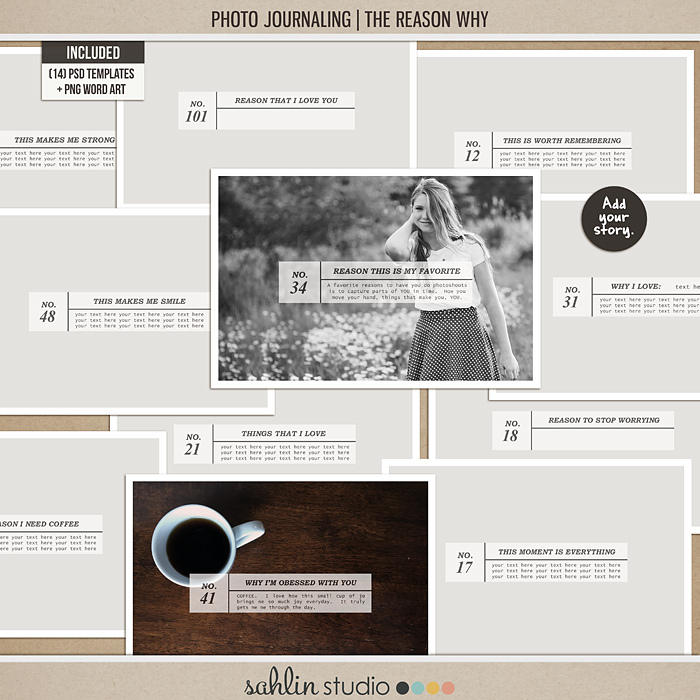 Sahlin Studio Products: Kindred (Kit); Photo Journaling | The Reason Why. Physical embellishments: One Canoe Two roller stamp; Vicki Boutin roller stamp; Felicity Jane wood veneer hearts; Dear Lizzy Coloring washi tape; Archival ink; Liquitex gesso and matte medium; Strathmore watercolor paper; Staples brand 67 lb cover stock.